The mission of Hoboken Catholic Academy is to educate the mind, encourage the growth and enhance the ongoing spiritual development of each child in our care. We, as a Catholic, Christian community, are committed to programs of excellence in an atmosphere permeated with the Gospel message of love and service. 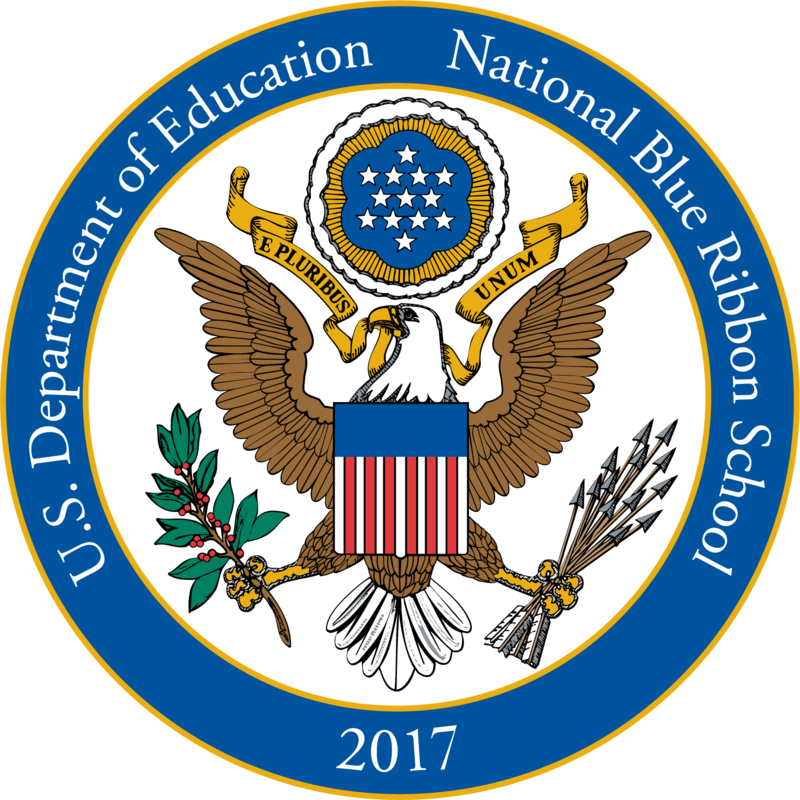 Hoboken Catholic Academy is accredited by the Middle States Commission on Elementary Schools and has been named a 2017 National Blue Ribbon School! HCA is a Professional Development School in partnership with William Paterson University, and welcomes a Math Professor in residence throughout the school year. The school is 100% Wi-fi and boasts two mobile computer labs each containing 25 Mac Books. Each classroom is equipped with a Smart Board. Middle school students have been issued iPads and use them daily with students in PK to Grade 4, scheduled to have them next year. In addition, each Pre-K and Kindergarten class has a Smart Table. All students receive weekly computer instruction starting in grade 1 and teachers in all grades infuse technology in all content areas. The HCA STEM (Science, Technology, Engineering, and Mathematics) initiative boasts a solid connection with Stevens Institute of Technology through 6 week, afterschool engineering classes for middle school students and participation in their annual STEM Fair. Middle school students participate in the archdiocesan STEM Expo program by working in teams to develop projects based on the United Nations Sustainable Development Goals. A dedicated STEM Activities teacher coordinates STEM projects for students in grades one to four. We provide before and aftercare and an extensive list of afterschool activities as well as a competitive athletic program. Through Campus Ministry, Student Council, the National Junior Honor Society, HCA students participate in numerous service projects, collecting food, toys and clothing for local food pantries, homeless shelters and hospitals and funds for disaster relief, the USO, The American Cancer Society. The crowning event is the annual Campus Ministry “Senior Prom” for grandparents and seniors in the community. The school choir, fifty strong, was rated Superior in last year’s I Sing Competition and performed at the Cathedral Basilica of the Sacred Heart in Newark. The Prep Connection brings the elite Ignatian Scholars Society members from the Prep to our school one afternoon per week for tutoring and enrichment activities. Our graduates go on to some of the best Catholic and public high schools in the area. HCA alumni have graced the halls of Xavier HS (NYC), St. Peters Prep (Jersey City), Notre Dame HS (NYC), St. Dominic Academy (Jersey City), Hudson Catholic HS (Jersey City), Paramus Catholic HS (Paramus), Bergen Catholic HS (Oradell), Marist HS (Bayonne), High Tech HS (North Bergen), County Prep (Jersey City), Immaculate Heart Academy (Washington Township), Holy Angels Academy (Demarest), Mt. St. Dominic Academy (Caldwell), McNair Academic HS (Jersey City). In the last two years HCA eighth have earned just under $700,000 in Catholic High School scholarship offers. HCA boasts excellent standardized test scores (on website) exceeding both national and archdiocesan mean scores with more than 1/3 of the students tested last spring qualifying for inclusion in the Johns Hopkins Center for Academically Talented Youth Program. To learn more about our school and watch the entire video click here.